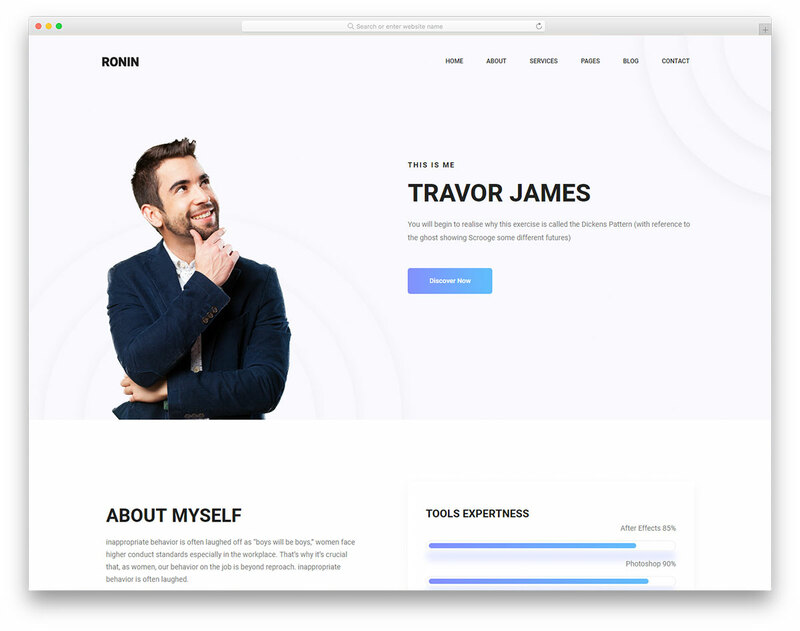 Go with the trend and craft your very own web space with Ronin free responsive portfolio website template. 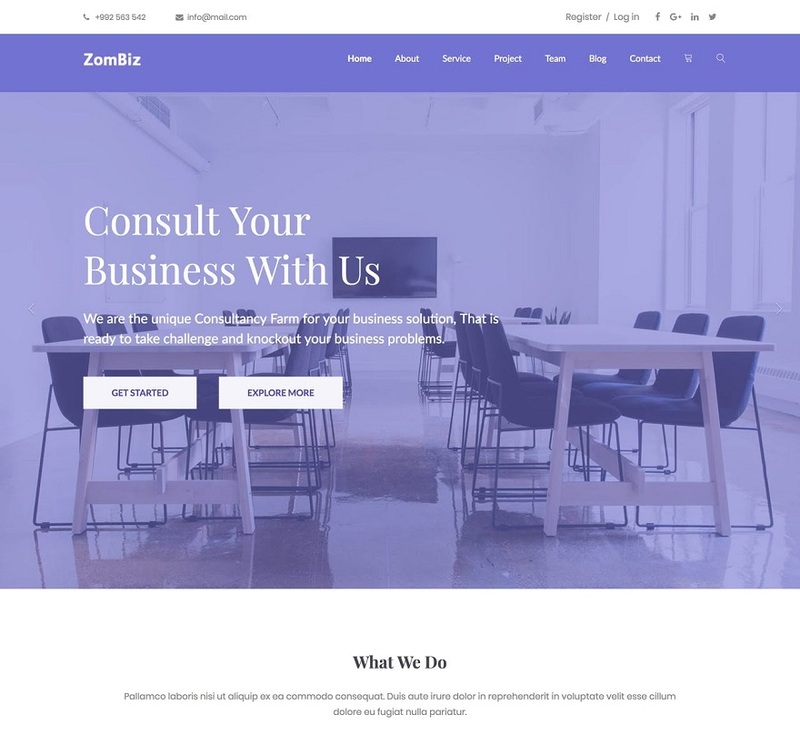 Zombiz is a free Landing Page template suited for a digital agency. The portfolio items don’t offer AJAX loading or pop-up functionality. 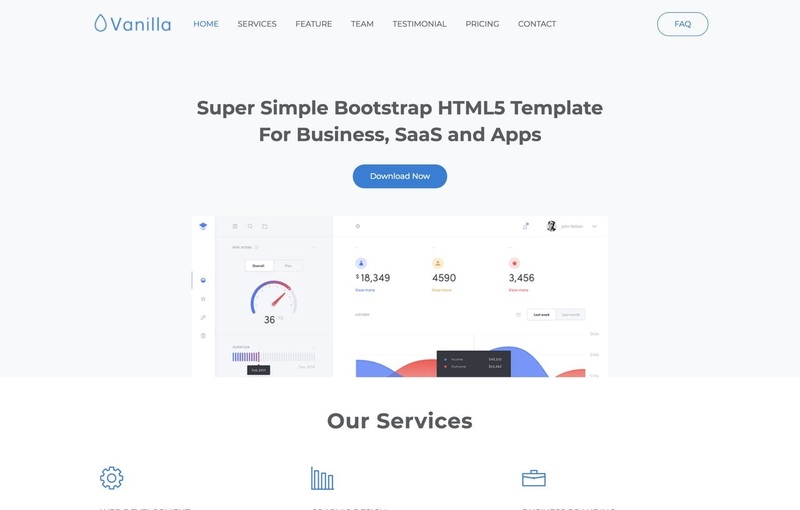 Vanilla is a free Landing Page HTML template by UIdeck built using the Bootstrap framework. 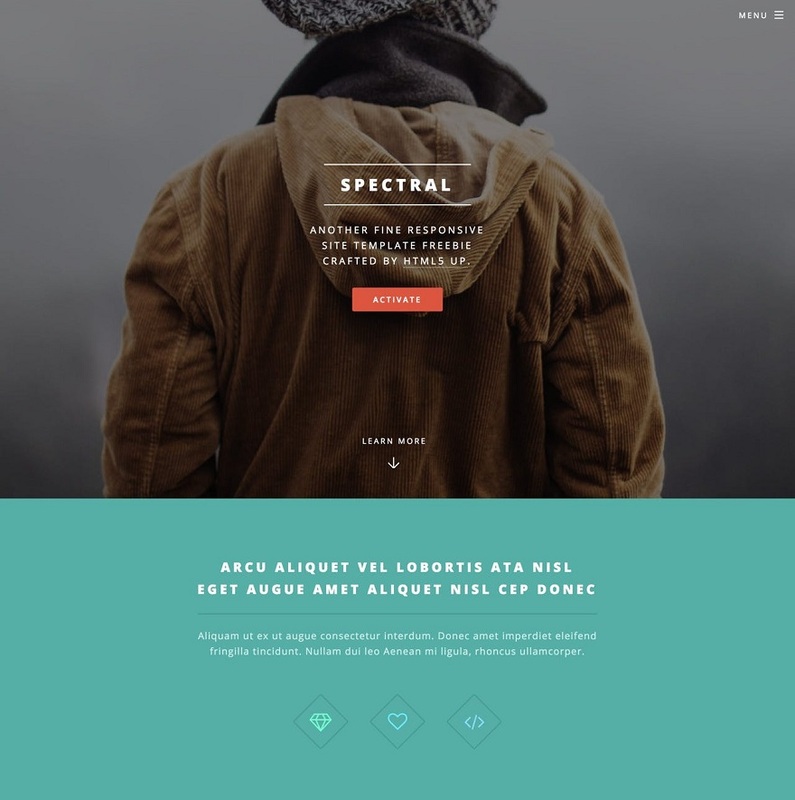 Spectral is a free One Page HTML template featuring a long-scrolling layout. 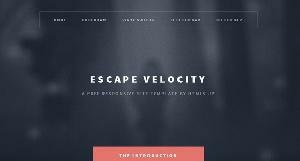 Eventually is a smart little Launching Soon HTML template by HTML5 Up. The freebie offers everything you’ll need to announce your product and service while collecting emails up until launch including a subtle moving background image slider. 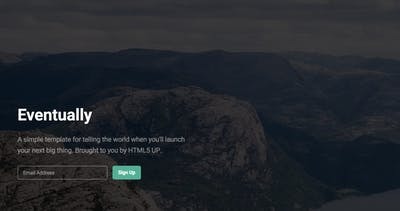 Evelyn is a free Landing Page HTML template by Cruip. 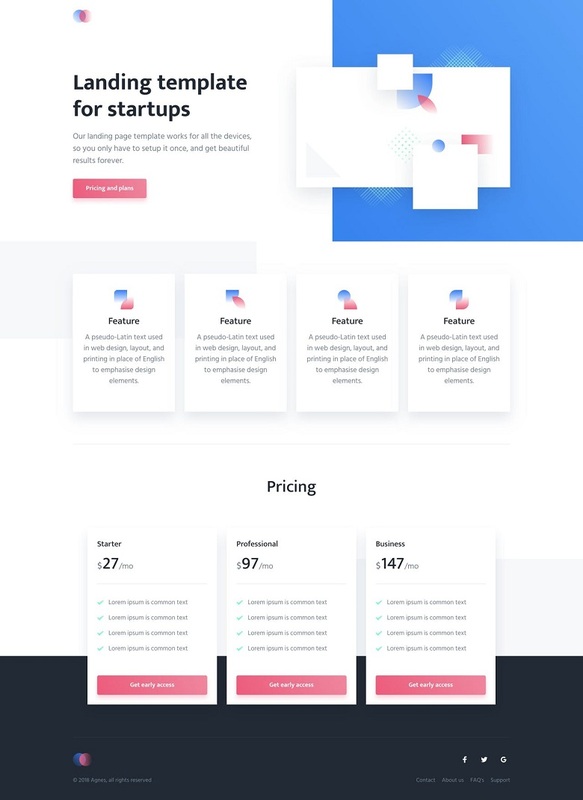 The design really is stunning for a freebie and features an intro image/video placeholder, client logos, product feature highlights and a pricing table. 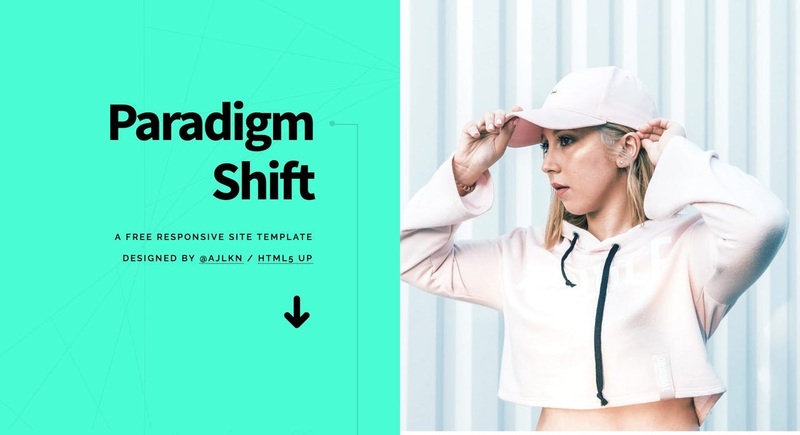 Paradigm Shift is a centrally-divided but also long-scrolling FREE One Page HTML template by HTML5 Up. 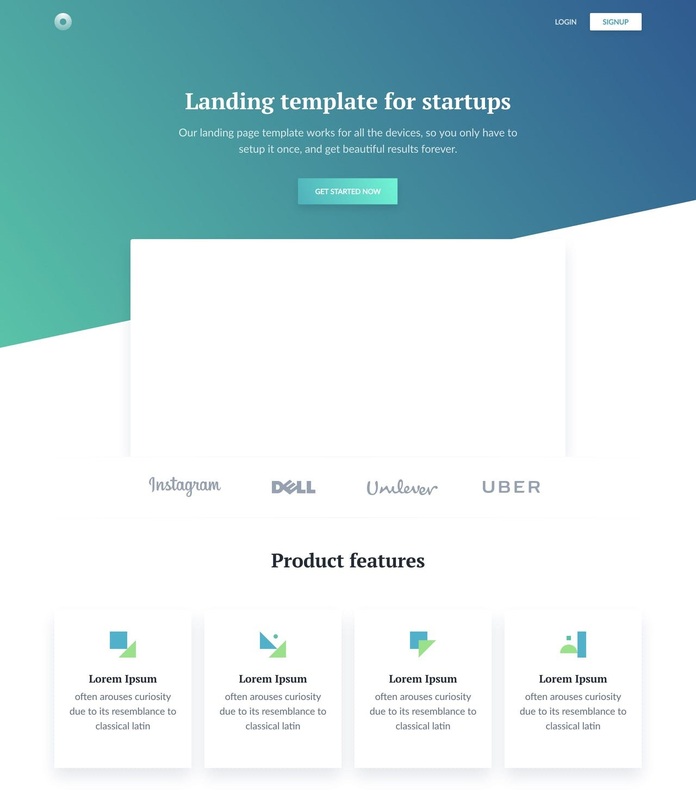 Agnes is a free Landing Page HTML template by Cruip. The design really is lovely and features an intro screenshot preview area, product/service feature list and ends with three-tier pricing table. 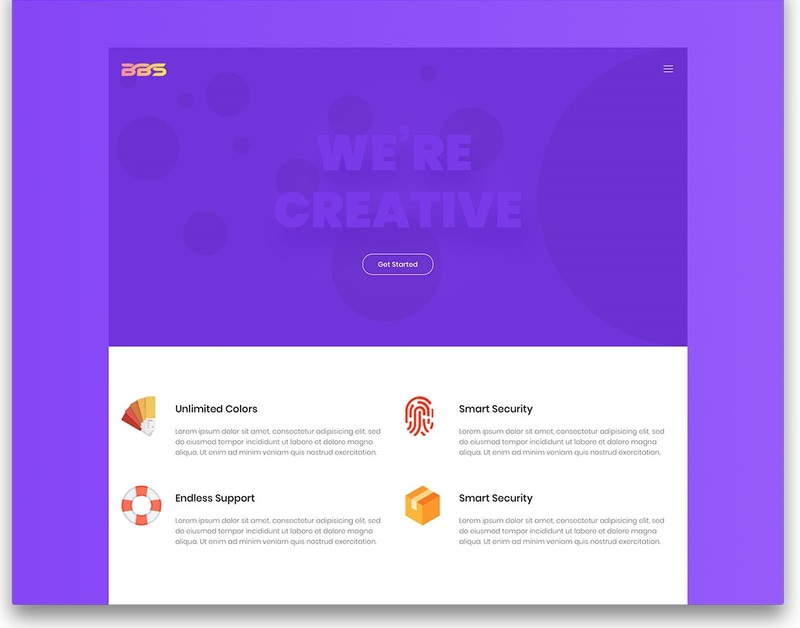 BBs free small company website template buildding on the bootstrap and jQuery, it is a small business website template for owners who are looking to build their brand image with style. 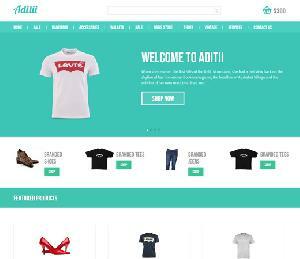 This is template free designed by Html5 and Css3. Templates is very good for SEO buy it is not responsive. New Real estate Website for free. This template Contains Homepage, About, Products, Contact and Jquery slider. 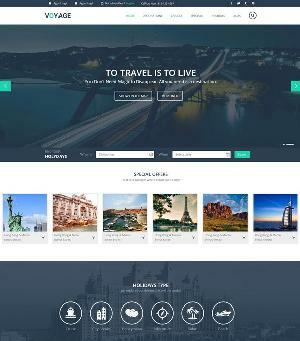 This template suites for all kind of all real state companies and ventures businesses.Template design as pure html5 and css and validate by w3org. Image credits to rgbstock and freegreatPicture and freedigitalphotos. 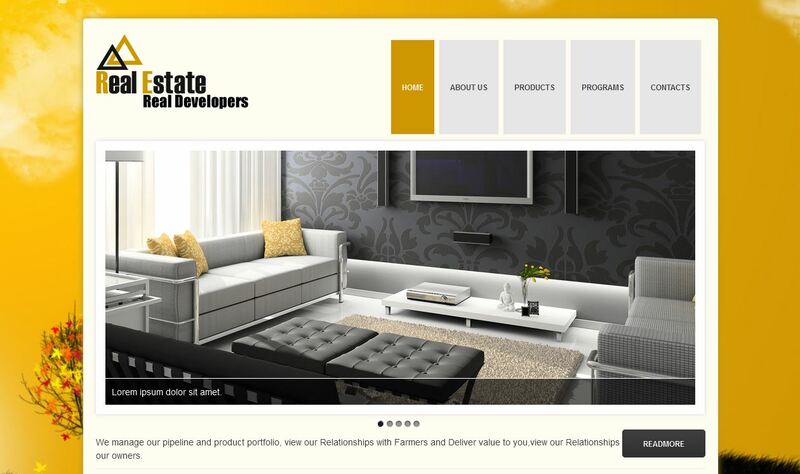 Dream House webtemplate and Mobile webtemplate for free. This template will use to maintain the real estate web template search engine allows clients to examine various properties at once through the simple click of a mouse. 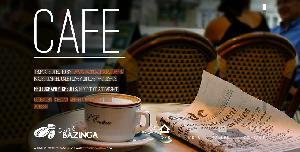 It is very useful to the real estate bussiness peoples and growing up our company in shortly. We are providing web and mobile web template for free under Creative Commons Attribution 3.0 License .We are using images from FreedigitalPhotos & Freerangestock. Bazinga Cafe Free Html5 Template. This is template for SEO very good and can build on multiple divice.